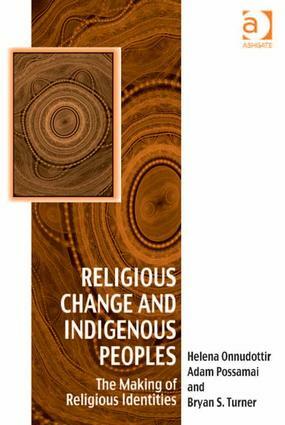 Contents: Introduction; Aboriginal spirituality versus modernity; Post-traditional spirituality and post-Christianity in Australia; Islam in aboriginal Australia; Conversion among indigenous peoples in Australia and New Zealand; The significance of religious identities among aboriginal Australian inmates; The growth of the indigenous religious ’nones’; Conversion, reversion and de-conversion; Conclusion: continuity through change; Appendix; References; Index. Adam Possamai is Associate Professor in Sociology at the University of Western Sydney and the 2010-2014 President for the Sociology of Religion Research Committee from the International Sociological Association. He is also a former President of the Australian Association for the Study of Religions, and a past co-editor of the Australian Religion Studies Review. He is the author several books and papers, and editor of The Handbook of Hyper-Real Religions. Dr Helena Onnudottir is a Social Anthropologist and a lecturer in Sociology in the School of Social Sciences and Psychology, University of Western Sydney. She recently completed a PhD on Australian Aborigines. Professor Bryan Turner is the Director of the Religion and Society Research Centre at the University of Western Sydney and Presidential Professor of Sociology in the Graduate Center at City University New York USA. He has held professorships at Cambridge University and the National University of Singapore. He is the founding editor of the journals Body&Society (with Mike Featherstone), Citizenship Studies and Journal of Classical Sociology (with John O'Neill), and an editorial member of numerous journals including: British Journal of Sociology, Contemporary Islam and the Sociological Review. He edited the New Blackwell Companion to the Sociology of Religion, and is the author of many books and papers.